I got through a fair bit of the beer I brought back from Spain and France over Christmas so here's a taste of some of them. I didn't take notes for everything as sometimes I just want to enjoy my beer and not be a beer geek about it. 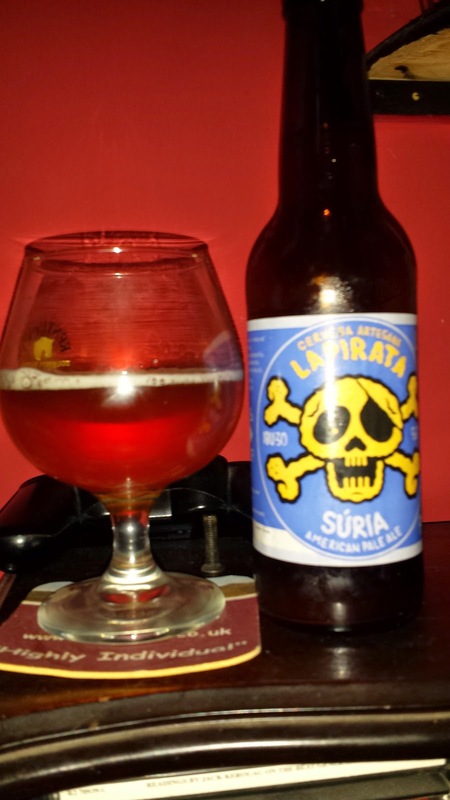 First up from Barcelona is a contract brewery called La Pirata. I got two of their beers, the first of which is Súria, an American pale ale with plenty of orange and lemon but not a great deal of depth. Not bad, and one of the first Spanish craft beers I have ever had. Perhaps it was a little old because there wasn't much hop aroma. 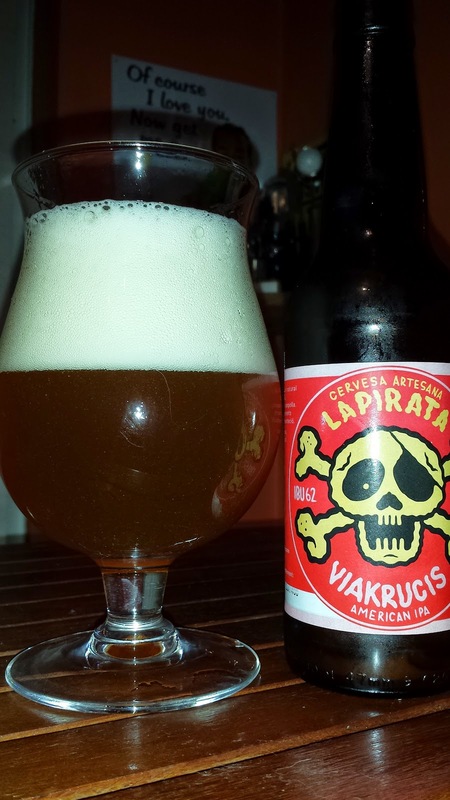 The second one from La Pirata is Viakrucis, this is supposed to be an IPA but to me, it tasted like a hoppy saison. lots of funk and lemon citrus notes. I quite enjoyed it but I wonder was it supposed to taste like that? A quick glance at ratebeer seems to indicate otherwise. 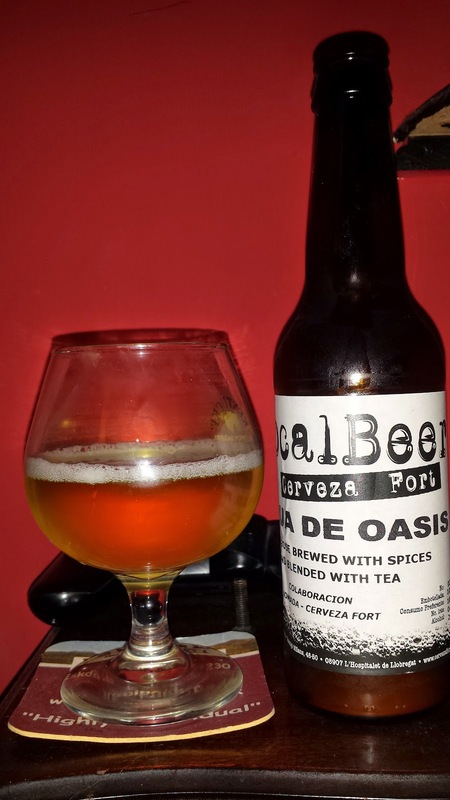 Still from Barcelona, some Local Beer now from Fort Cerveza Artesanal. Agua de Oasis is an odd one. A green tea infused gose of sorts. This may just be the most refreshing and sessionable beer I have ever come across. For a start, it's only 2.9% and that makes it an interesting case if sold in Sweden. Anything below 2.25% is basically a soft drink and can be sold anywhere to anyone. If it's between that and 3.5% as this beer is, it's considered a light beer and can be sold in supermarkets etc and anything over must be sold in the government owned Systembolaget. Anyway, I'm digressing away from the beer. There's a load of lemon sherbet throughout but it's also quite spicy/peppery. It's not complex or even all that interesting and at 2.9% it's quite watery as you might imagine. Don't let that put you off, it's astoundingly refreshing. 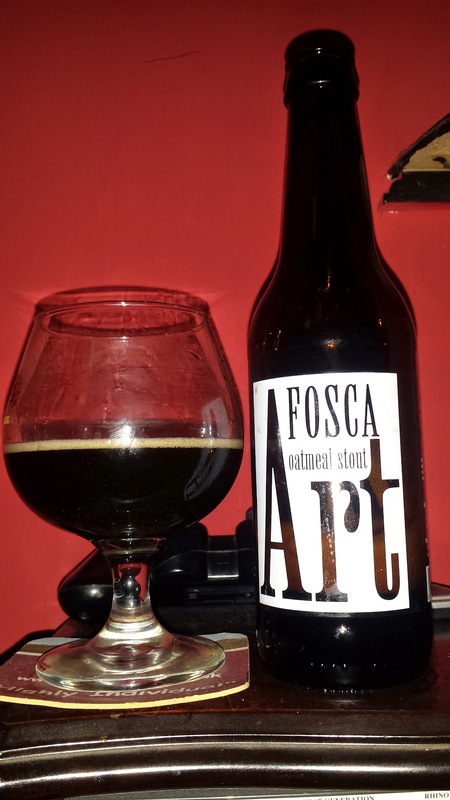 From Art Cervesers comes Fosca, which literally translates to dark I believe. It's a 5.8% oatmeal stout. I found it very thin on body for an oatmeal stout. Some coffee and caramel are really all that's going on here. The label is far more impressive than the beer I'm afraid. I’ve yet to open any of the bottles I brought back from my pre-Christmas trip to Barcelona, Reuben. I did manage to sample the draught version of La Pirata Viakrucis in an excellent Barcelona craft-beer bar, called BierCab. Craft beer is certainly up and coming in Catalonia, as I’m sure you noticed.